Working time management and work reports are available to Bitrix24 Professional plan subscribers only. 1. To start working day click green "Clock in" tab, to pause it click "Break", use "Continue" to resume & "Clock out" to finish. 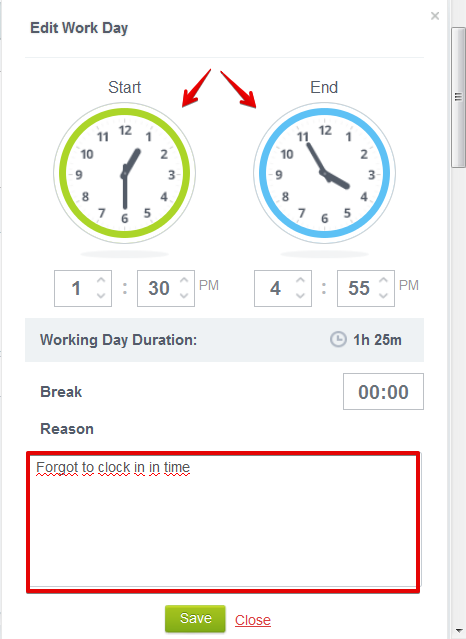 Even if you have finished ("clock out") your working day - you can always click "continue working day" to log more working time spent. Please note that you will have to set the previous day clock out time manually & may need to type in the reason as well (depending on the Time module settings configured by your intranet administrator). 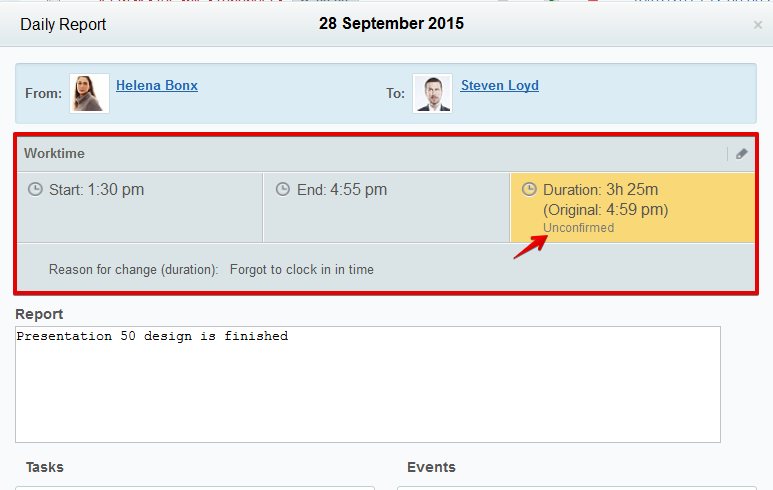 If the reason field is mandatory - you won't be able to log the previous day clock out time without giving the reason. 3. 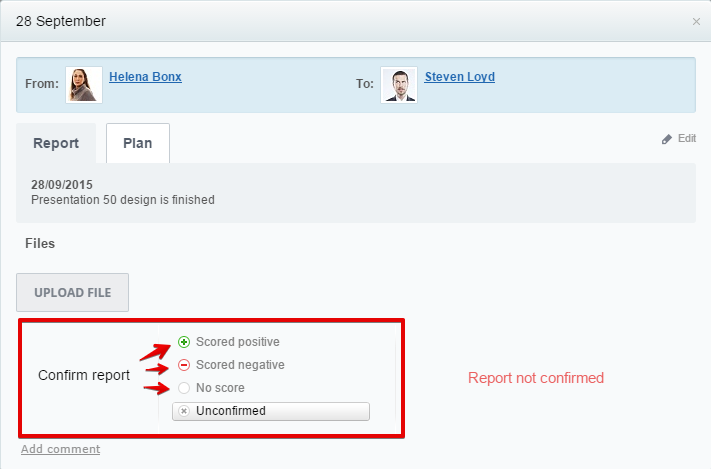 There are 2 different work report tools - "Daily Summary / Plan" & "Daily (Weekly \ Monthly) Report". 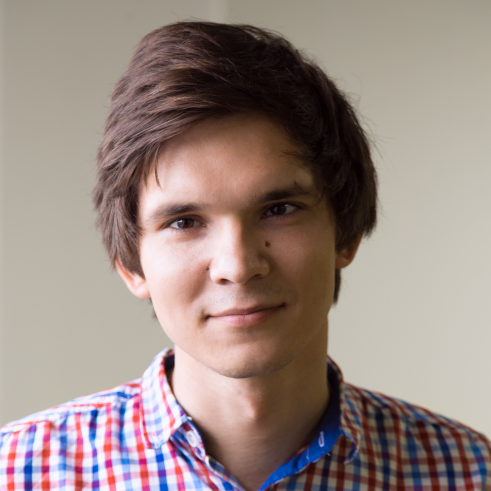 Their main difference is that Daily Plan / Summary is the user's personal organization tool available at any time during the day – it can be filled with necessary information & edited, when the Work Report form appears automatically daily (weekly\monthly) at the particular time (depending on the settings configured by the administrator) & after the user click “send” – the form appears in the administrator’s Work Reports section under My Company. 5. 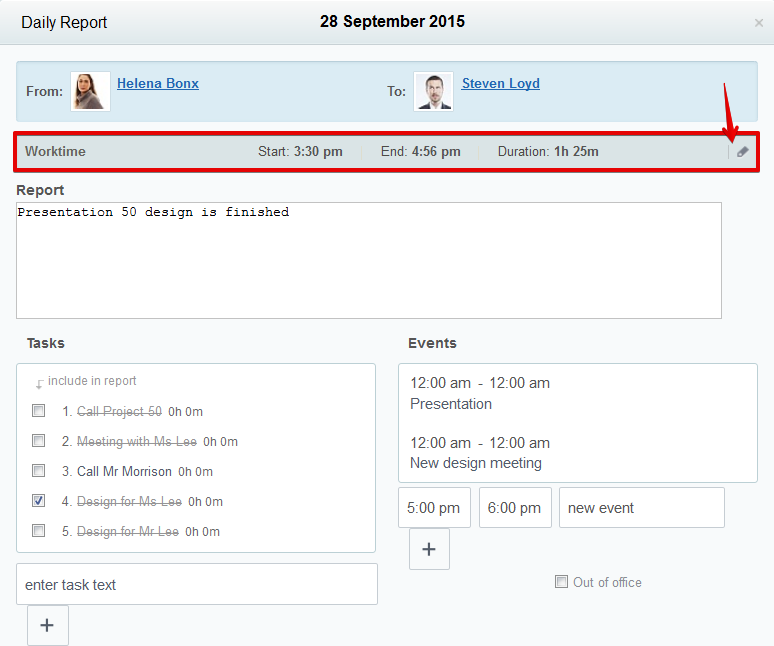 Tasks & calendar events: events from your personal calendars or events where you have been invited to - will be reflected in the Daily Plan tool. If you want tasks to be added to the Daily Plan tool – you need to check “Add to Daily Plan” option in the full task’s settings. 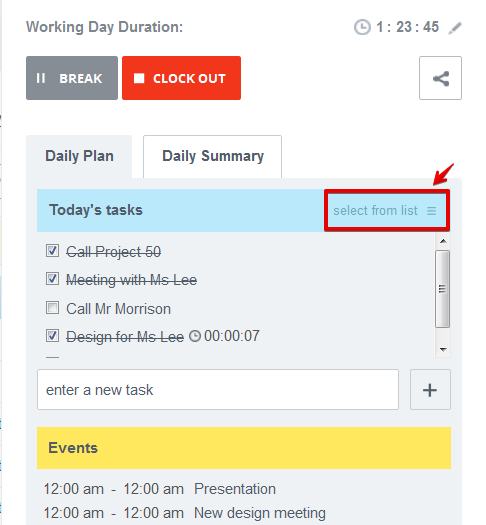 Alternatively – you can click “select from list” option to add tasks to your Daily Plan. 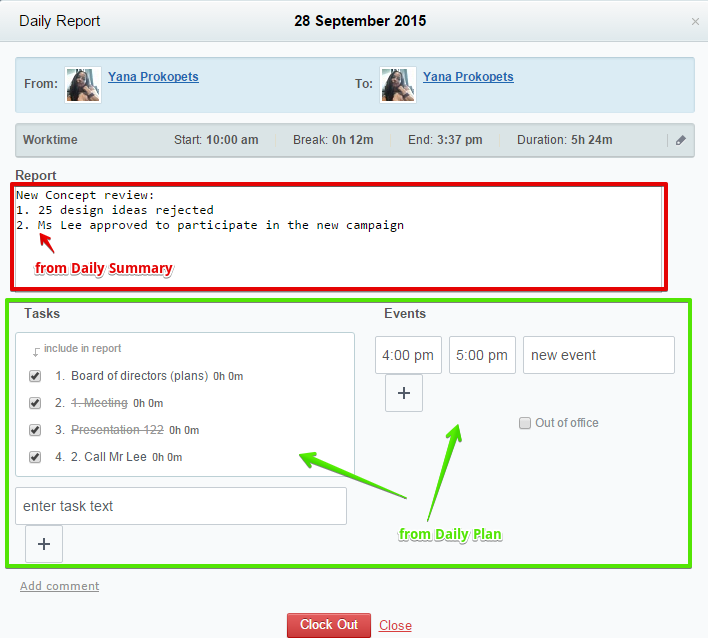 New tasks & events can be easily added directly in the Daily Plan tool via a simple form too. 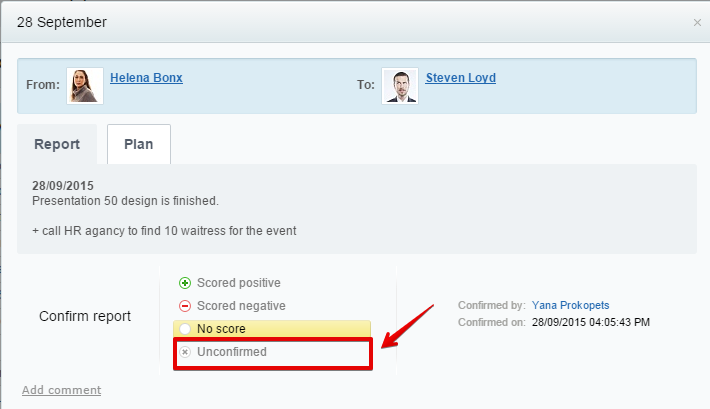 Please note that the edited work time automatically receives “unconfirmed” status & will require further approval by your supervisor.